It’s my healing & I’ll nap if I want to! In the days following my knee replacement, I’ve had trouble sleeping. This was mostly due to pain as well as simply being unable to get comfortable. I’m a side sleeper or a stomach sleeper. After surgery, my available sleeping positions were, of course, pretty limited. Now that almost a month has passed since surgery as well as some intense Physio, I’m more flexible and able to move around in bed a bit more. Also, the sheer amount of pain that I’ve been in has subsided a bit and is responding better to my pain medication. So? What does this mean? It means the the amount of sleep I’ve been getting as well as the quality of sleep I’ve been getting has increased exponentionally. I still wake up in the middle of the night a few times. Maybe 2 or 3 times. But still, even with that being the case, I’m sleeping much better. And, if undisturbed, I’ll probably sleep comfortably until 9:30am. What has changed is my energy level by midday. I am doneeee. Exhausted. Finished. Finito. This worried me a bit. I have an appointment with my Nephro next Monday, so I’ve scheduled some bloodwork for myself tomorrow so that the results are in by the time I go to that appointment. After my surgery, my hemoglobin dropped from its usual range of about 120 down to 79 (for my American friends, that’s 12.0 to 7.9). This was to be expected. After all, I just had major surgery and some blood loss is inevidible. My hemoglobin began to creep back up as the days passed while I was in the hospital so obviously that is a good thing. So? Why am I so tired a few weeks after my knee replacement? Assuming my bloodwork tomorrow is all normal, I can only attribute this to one thing: HEALING! For crying out loud, major surgery means major healing. Our amazing bodies put so much energy and effort into healing out bodies when it senses trauma or illness. Perhaps the side effect for this natural process of healing I’m experiencing is fatigue. Now, I won’t lie. I jumped onto google yesterday to look up “tired after knee replacement surgery” and the above answer popped up. I don’t know why I didn’t think of that on my own, but it makes total and complete sense. So, if you too jumped on google and searched for what I searched for, or something fancier like “fatigue after total knee arthroplasty”, and you’ve been checked out and are fine from a medical standpoint- here’s my advice to you. SLEEP. NAP. REST. And, lastly- DON’T WORRY-this is NORMAL! 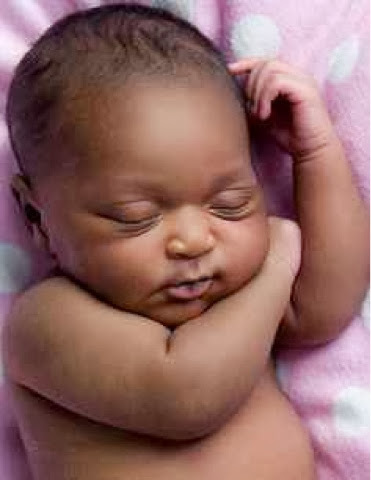 Disclaimer: while I wish it was, this gorgeous baby is not me-I found her on google LOL.